How many times do you pick up your Smartphone even when you are seated in front of a high-tech laptop? According to a recently conducted survey, an average user picks up his phone about 221 times in a day. 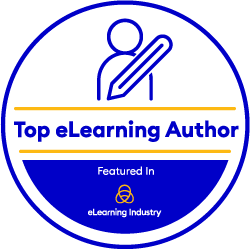 This number gives a fair idea how we are conveniently associated with these gadgets and how the developments in technology have made eLearning on Smartphones the talk of the training industry. And now with the increased acceptance of mobile learning, we will analyse a few reasons why eLearning on Smartphones is considered to be a game changer. 1. Ever-increasing number of Gen-Y employees- More than 60% of employees now use Smartphones at work and alternatively, a similar percentage of employees are multi-device users. While this is happening more on a personal level now, a small number of organizations are taking the same cue with users initiating an action on one device, say a tablet, and completing the same action on another, maybe a Smartphone. The benefits that the Smartphone medium offers to people is unparalleled as the enterprises can extend support to their valued customers at critical hours of need. 2. Evolving as a tool for learner engagement- For certain classroom or engagement activities, Smartphones can help a great deal. They provide easy access to networking sites like Twitter using which the learners can tweet to questions related to the topic that their instructors are covering during the live session. There are other forms of engagement as well where students can use GPS-enabled features to visit places virtually and complete the activities assigned to them. 3. Shifting behaviour of employees- We cannot deny the fact that Smartphones have become an integral part of our lives. Whether it is taking a quick glance at a cricket match score or booking a flight ticket, paying the phone bill or ordering food from a local restaurant, we are heavily dependent on our Smartphones for all the tasks we perform on a regular basis. Morgan Stanley Research has concluded that the number of Smartphone internet users will surpass the desktop internet users by 2015. 4. Building capabilities- Today, there is growing awareness that all employees must be equipped with the right set of knowledge, tools, and capabilities in order to drive business objectives. Mobile learning initiatives are gaining significant funding especially from retail and pharmaceutical industries due to the fact that they are able to deliver performance support materials on the go. With an increasing number of eLearning made available on Smartphones, the organizations are also able to pursue varied advantages including reduced cost and increased dexterity. 5. Overcoming resistance- Instead of having lengthy classroom sessions which most of the employees resist due to lack of time, learning on Smartphone helps to keep the employees updated with small nuggets of information as and when they need it. For instance, when a user is working on a particular application, a help message may pop up with the required steps to perform a particular action within that application. Also, since mobile learning can be rolled out fairly quickly compared to traditional classroom and computer-based trainings, it serves the need just when it arises. In the past few years, globalization has become one of the key trends in the business world. A growing number of organizations are spreading their wings across the globe with their wide range of product or service offering. A recent survey conducted by IDC claims that 75% of the workforce in the United States is mobile and it is expected to cross 1.3 billion by the end of 2015. Considering the above points, it is safe to conclude that learning on Smartphones will indeed usher in the future of work as well as a rapidly changing business environment that demands immediate expertise at a significantly reduced cost structure.